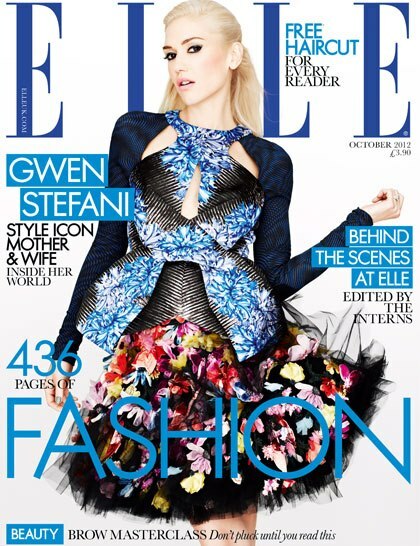 Gwen Stefani for Elle Magazine. She's looking amazing! Her band No Doubt are releasing their new album this year! Look out for it if you're a fan of them. Katy Perry's hair goes orange for her spread in French magazine, L'Officiel channeling Florence Welsh of Florence and the Machine. I quite like Katy Perry like this, in an odd way. Strike A Pose! Angela Simmons strikes plenty of poses for us as she graces Fearless magazine. Angela is truly looking 'Fearless' as she was recently the Celebrity Guest Editor of the magazine. Check out magazine covers of Soul Singer - Jill Scott, Singer and X Factor US Judge - Britney Spears and Love & Hip Hop Atlanta's - Lil' Scrappy and Erica Dixon! Soul Singer, Jill Scott graces the October 2012 issue of Essence magazine, with her beautiful natural hair. Black is SURELY Beautiful! So I obviously had to save the best til' last! The newly engaged couple Lil Scrappy & Erica Dixon of Love and Hip Hop Atlanta cover Rolling Out magazine. They look extremely adorable and I am very happy for them! Did any of you watch Love and Hip Hop Atlanta's Reunion - Part 2? I actually shed a tear. Too cute! WATCH BEHIND THE SCENES OF SCRAPPY & ERICA'S ROLLING OUT SHOOT!